- "ITINERANT NO MORE, CHICAGO CHILDREN&apos;S THEATRE&apos;S 2012-13 SEASON TO BE STAGED IN ONE CONVENIENT LOCATION: THE RUTH PAGE CENTER FOR THE ARTS." LOVE the word itinerant. 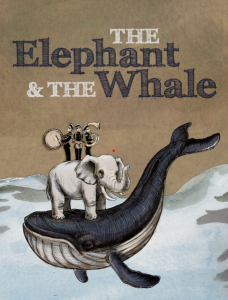 The company will be in-residence at the Ruth Page Center for the Arts; the 2012-13 season includes Harold and the Purple Crayon (directed by Sean Graney); Bud, Not Buddy; and The Elephant & The Whale, which was produced with Redmoon. "...we are so looking forward to our new residency at the Ruth Page Center for the Arts because it gives Chicagoland families one consistent location to experience a full season of exceptional theatrical programming," said Chicago Children&apos;s Theatre Artistic Director and Co-Founder Jacqueline Russell. There will be pizza parties. - Theater on the Lake tickets went on sale yesterday; get them while you can. - River North Dance Chicago&apos;s debut at the Pritzker Pavilion might have been good talent-wise, but according to Sid Smith, we should remember that outdoor productions often come with problematic lighting issues. - You can win tickets to see Dave Hill perform at Second City.